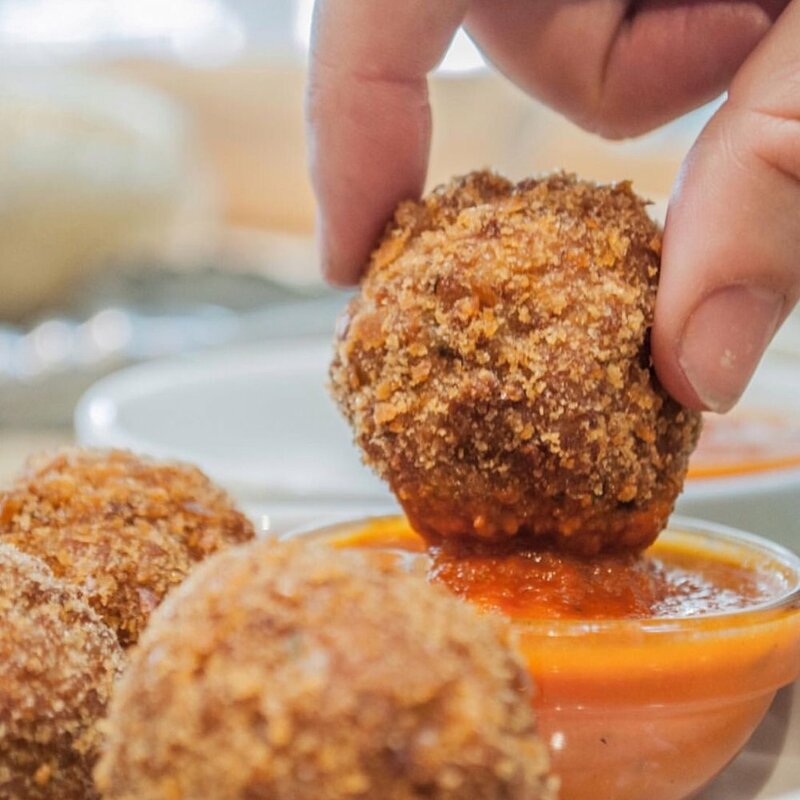 Mondeghili originate from Milano, Italy and are what I like to call a real Italian meatball. They are considered your sunday leftover dish, where you are able to take what you have left in your fridge and put it all together to make delicious polpette! I literally only had a cranberry baguette for bread and used it for this recipe so I really do mean use what you have. This is a perfect recipe to start testing your confidence in the kitchen. You can add a little more or less of everything based on your preferences. Just remember if you add anything more of ricotta or liquid, be sure to balance it out with more dry ingredients or vice versa. Serve immediately with homemade tomato sauce!